Make sure your dog is leashed. You should never bring your dog to the vet without being leashed. You need to have more than verbal control over your dog at the vet, especially since there is a high chance that there are a number of other animals waiting to see the vet. Plus, there may not only be dogs waiting, many vets who offer their services to canines also look after cats, reptiles, and other house pets. You need to make sure that your Basset Hound is placed on a short leash. A short lead will ensure that your dog isn't allowed to roam freely and will not become tangled in other dog leashes. If your dog is halter trained, it's also a good idea to have him/her in the halter when visiting the vet. Remember, even if your dog is obedient, you can't take a risk on rusting that the other animals that may be waiting at the Vet's are. Leashing your pet and keeping him/her close to you is as much for the protection of other dogs as it is for yours. Muzzle train your dog. Although you may not feel your dog requires a muzzle, you need to make sure that this isn't a requirement of your vet hospital. Some vets find a muzzle is the safest way to ensure that their staff and other patients are protected from being bitten. It also ensures that dogs don't destroy items by chewing or biting. Although the Basset Hound is not an aggressive dog by nature, you would be surprised what can happen in a Vet hospital environment. Your dog will be anxious, the smells can drive him/her wild, and having to wait in a room with a bunch of other animals can change your naturally docile hound, and make his/her behavior unpredictable. If a muzzle is a requirement to visit the Vet, be sure to introduce your dog to the muzzle well before your visit so he/she can become familiar with the device in a positive environment. A muzzle can be a scary contraption for a dog if they are not slowly and properly introduced to it. Be patient and take your time accustoming your dog to a muzzle. Bring a treat. Unless your Vet has specifically told you not to feed your pet while waiting because of a test or for some other reason, bring a treat along. 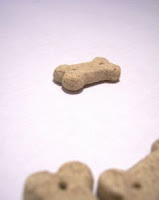 Treats make your pet happy, and will help them feel more comfortable with their surroundings. It also helps to keep your dog's attention on you and not other animals of interests. Make sure your dog is well socialized. Make sure your dog has been well socialized with other people and dogs before you visit the vet. This is how your Basset Hound will learn what is considered acceptable and unacceptable behaviors around others, and will apply what he/she has learned during a vet visit. Visit the vet regularly. Make sure your dog is taken for regular vet visits. Young dogs require yearly checkups and elderly dogs (8 and up) should visit twice a year to ensure they are still in good health. Regular vet visits not only ensures the overall health and wellbeing of your Basset Hound, it also makes the vet visit less stressful because it becomes a familiar routine. Richard Cussons is a champion for all breeds of dog and Basset Hounds are a favorite. 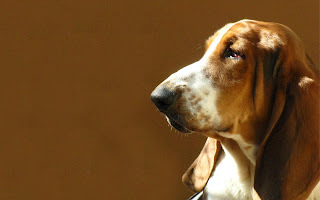 You can find out more about Basset Hounds at the Basset Hound Savvy website.